This week’s Flashback Friday post is about a visit we had only a bit over a month ago now. I didn’t get a chance to write a post about it at the time and really want to share it tonight because I have just realised we haven’t shown you much of the beautiful places we have to see up here on the Tablelands! 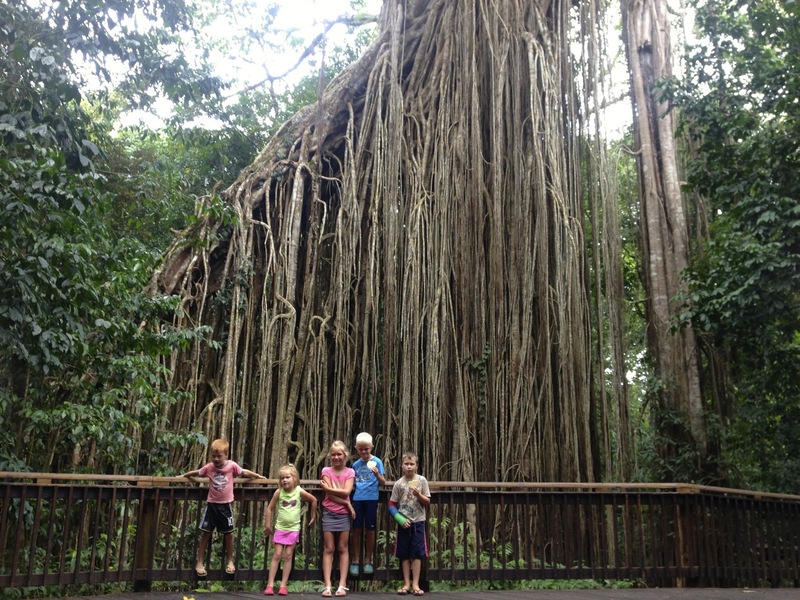 The Hanstede Family are friends of ours who made the long drive up from Brisbane to Cairns in early January. 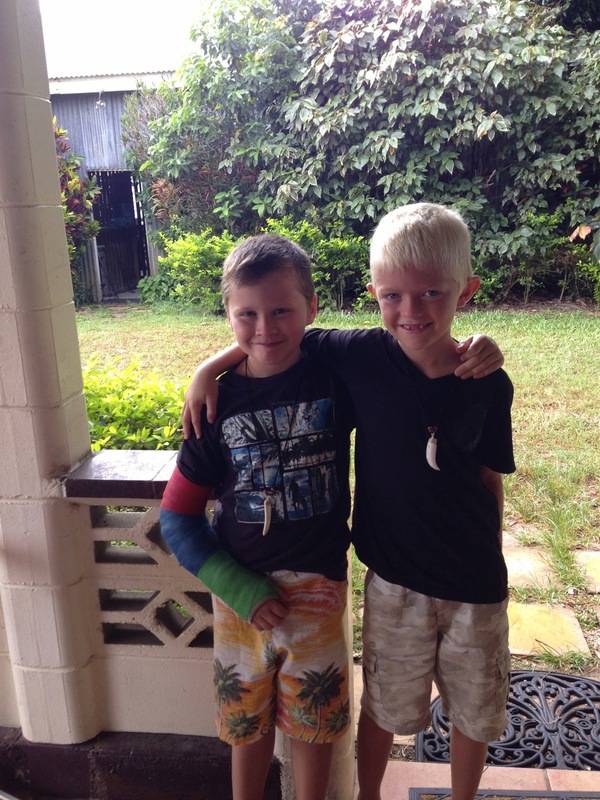 Connor and Jack were the best of friends back at school in Samford, so Jack was just sooooooo excited to have the Hanstede’s come and stay with us for a weekend before they headed home! It was amazing to see how easily the boys just picked up again as mates – right where they had left off! We took the opportunity while we had some visitors, to do a little bit of a sight-seeing day out on the Tabelands with them and here is just a tiny bit of what is on offer in our pretty special part of the world! 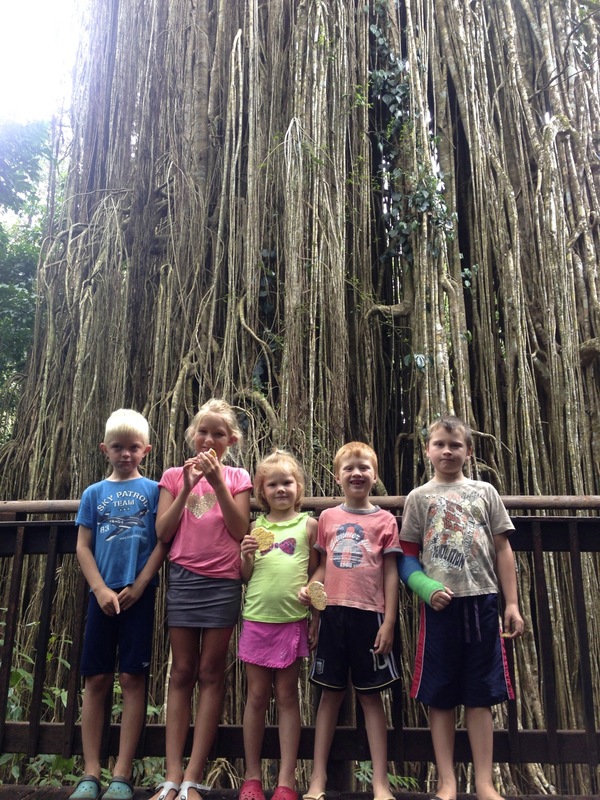 Our first stop was the Curtain Fig Tree, located just outside a lovely little town called Yungaburra. 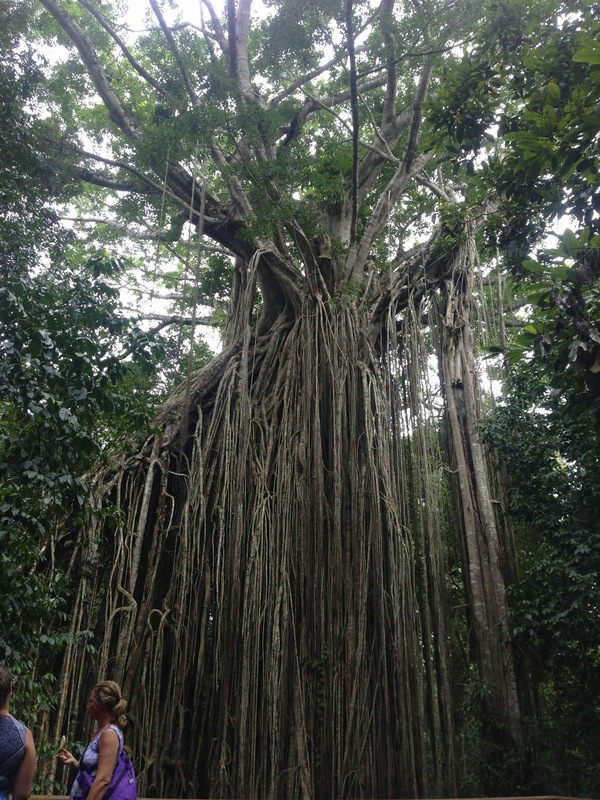 The tree stands 50 metres tall and spreads to 39 metres wide at the base and is believed to be over 800 years old! Impossible to get it all in one photo! 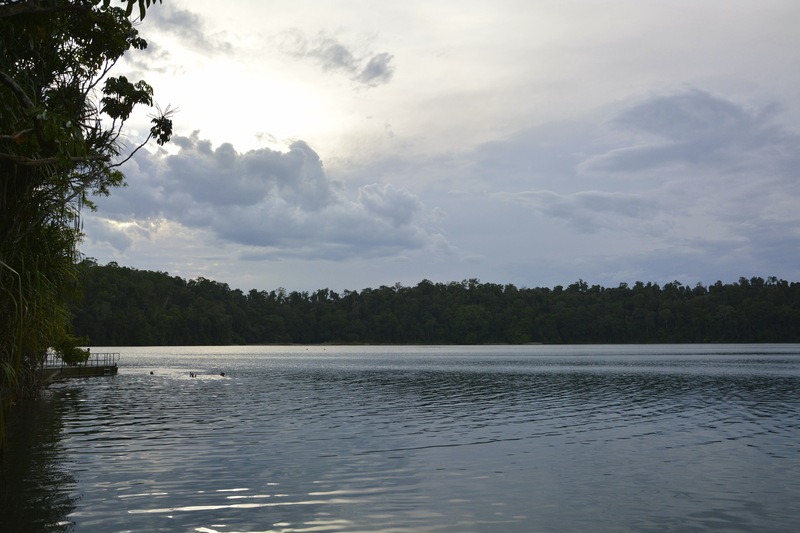 From here it was only a short, but compulsory drive to my all time favourite place on the Tablelands, Lake Eacham. 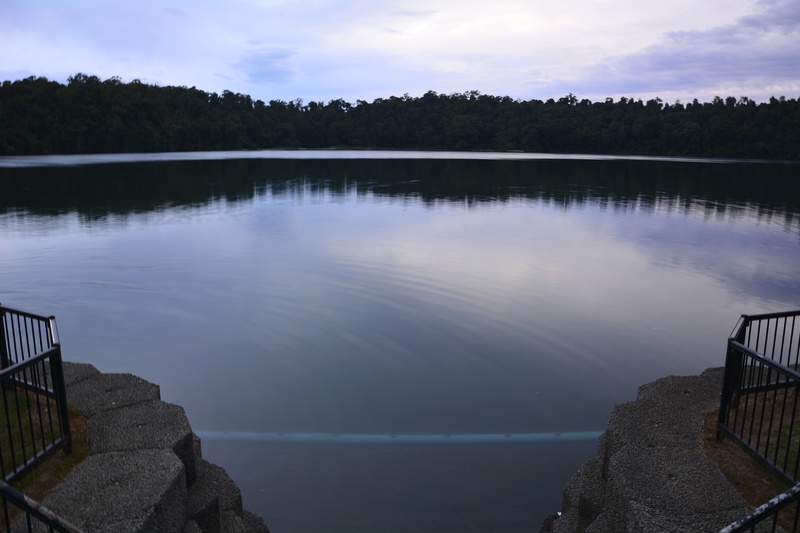 If you are ever up this way you MUST make the time for a swim here – the water is so refreshing, just do it! 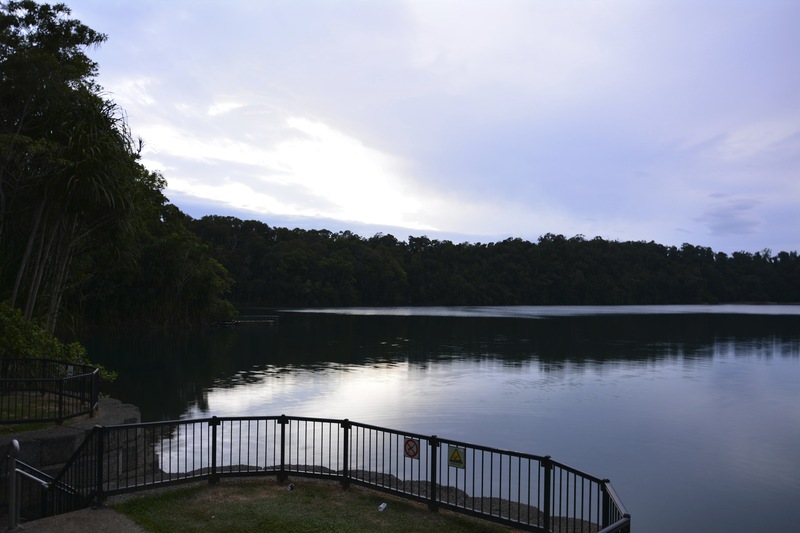 Lake Eacham is a volcanic crater lake fed by underground springs, so it retains a constant water level and is unaffected by drought. 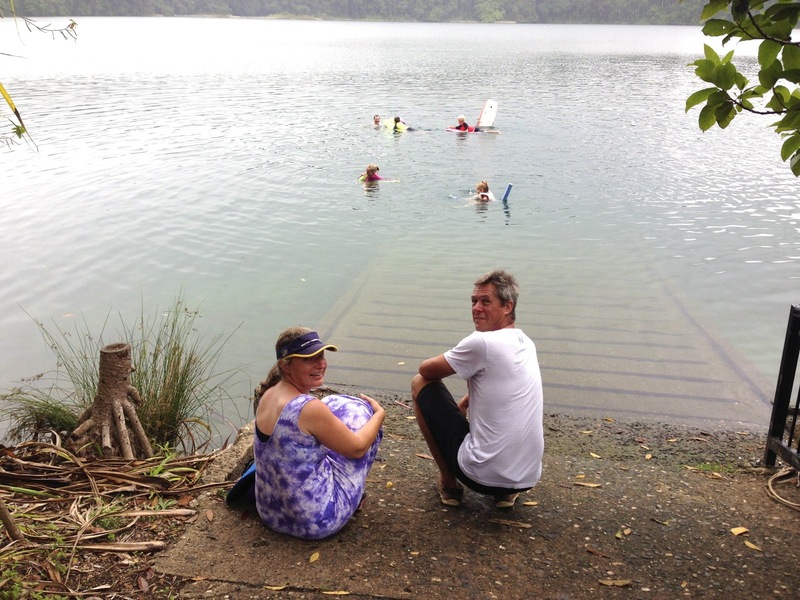 There is a great 4km walking track around the lake and if you are brave and keep your eyes out, you will spot a couple of tall trees which you can jump out of into the Lake – fun! 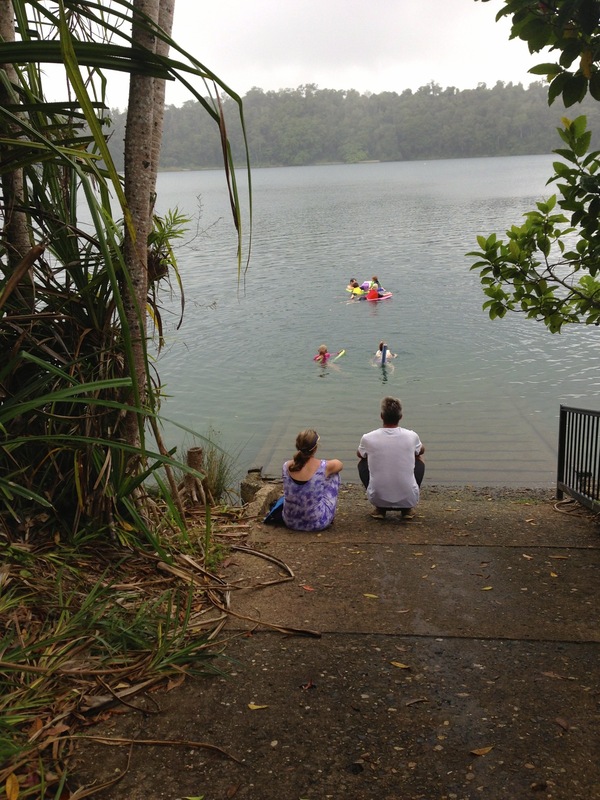 It was a bit rainy on our visit but we still enjoyed a swim and a picnic lunch out there. 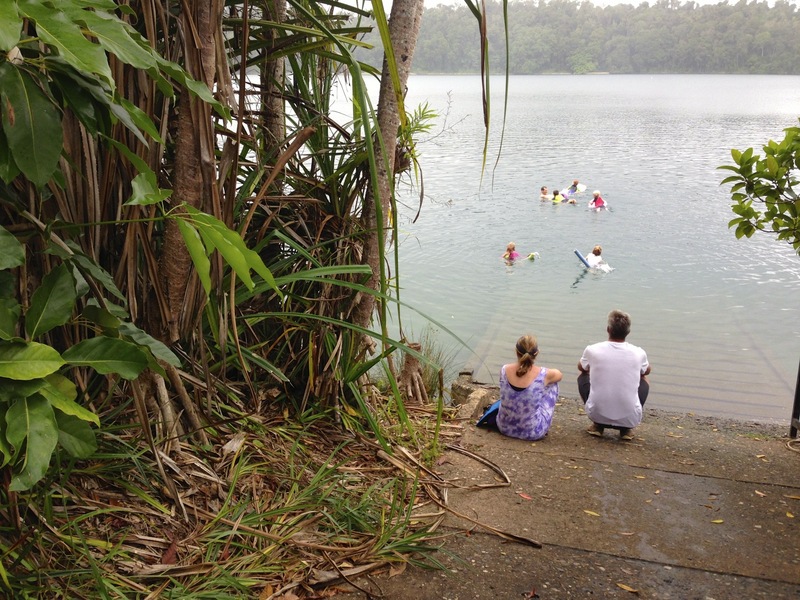 I’m putting it out there to say, Lake Eacham is the best swimming spot in all of Australia! From Lake Eacham we had a very quick stop at the Malanda Dairy Centre to see if we could spot Grandma and Grunda’s photos on the wall in the museum showcasing some of the local dairy industry history! The kids scored two free milkshakes to share as the centre was just closing and had the milkshakes left over so the kids thought that was fantastic! The Dairy Centre is really well done – definitely worth a look for the gold coin donation! 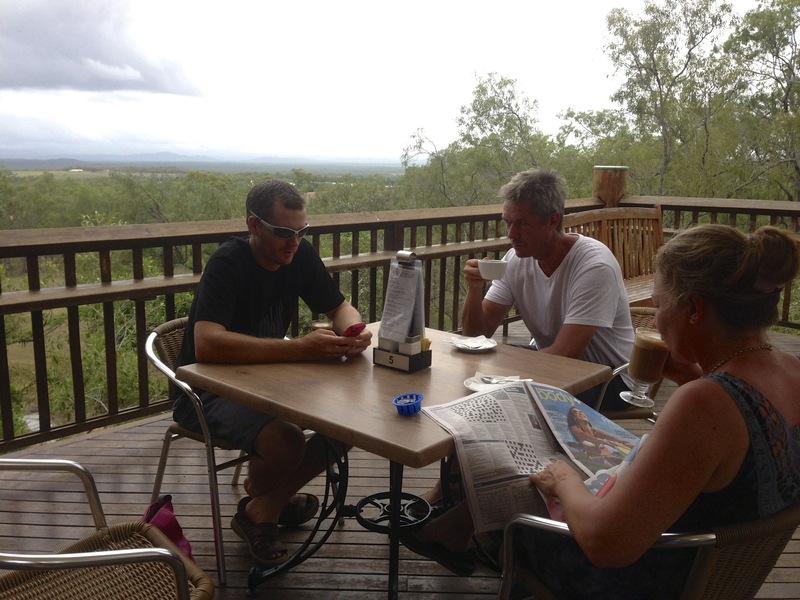 Our last little bit of sight-seeing for the weekend was much closer to home here in Mareeba and that was a trip just around the corner from our place to visit the Skybury Australian Coffee Centre. I had never been here before and I thought it was just a beautiful spot! The coffee drinkers said the coffee was pretty good too! 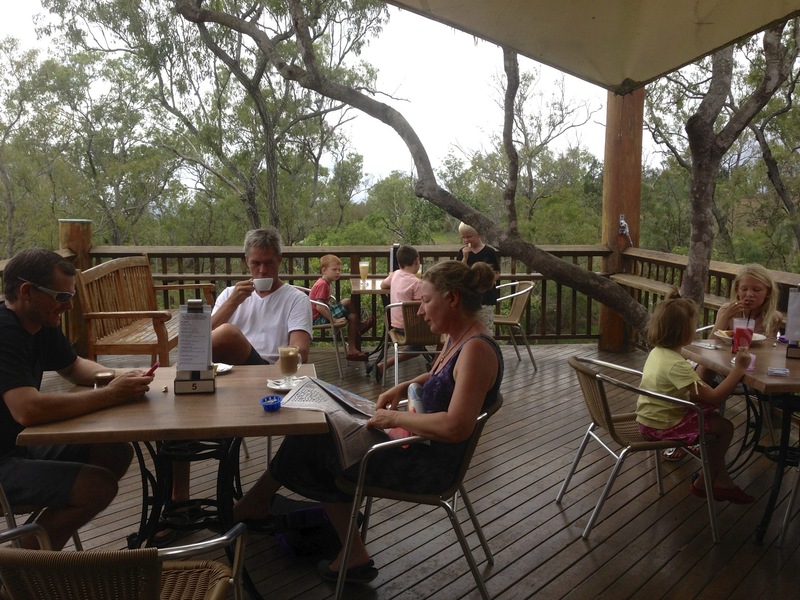 You can take a tour of the coffee and tropical fruit plantation or just relax like we did having something to eat and drink at the cafe. I would definitely like go back for breakfast sometime!! Oh, and I even spotted the young farmer who works the farm and who featured on the tv show ‘Farmer Wants A Wife’ a few years ago!! Definitely on our ‘must take all visitors here’ list as it is only five minutes from our place (we think we could even see our shed from the cafe!) and a really lovely spot. Pretty good coffee, we even bought some home to try in the stove top coffee maker. It was so nice to have some familiar faces visiting from Brisbane, thanks so much for coming Hanstede family! We’re open for bookings now for our ‘hopefully’ quiet winter off season, surely there’s some takers after seeing these pictures!! 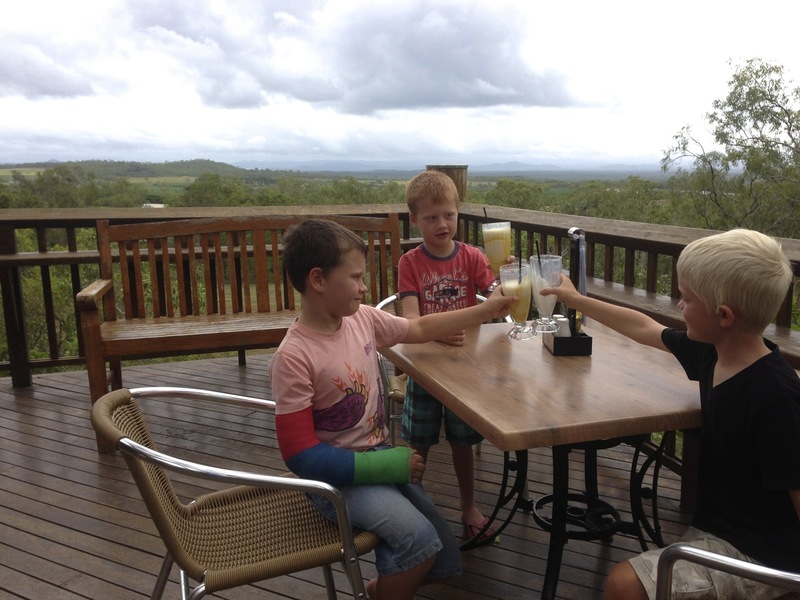 We have ‘rustic worker’s accommodation’ or the 5 star (not) homestead accommodation, and even free kids club/babysitting – come and visit okay! !